Scandinavian Two-Bedroom apartment located in the Russian city of Saint Petersburg, the agency INT2 architecture imagined a family home in the Scandinavian style of the most appreciable. What marks first of course is the brightness of this space. This luminous flux is allowed thanks to the large windows of the apartment that allows light to enter. 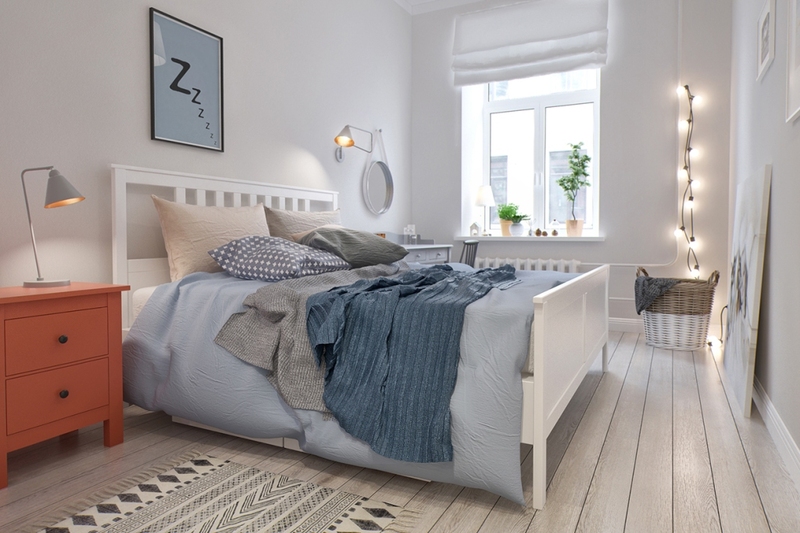 Then, the Scandinavian style characterizes itself by the whiteness of the walls and floors, which allows to circulate light and to reflect it. Finally, the wide doors give an impression of space. We will note the geometric forms that have been used extensively in this space. To warm the Interior, several touches of colours were scattered in the apartment. Do you think the Scandinavian interior design is too cold to dress up a whole interior?